Student loan debt sits at $1 trillion as 2013 comes to an end, according to the Consumer Financial Protection Bureau, and 81 percent of borrowers carry more than $40,000 in debt. If you're reevaluating your student loan repayment process, you should know about these options that can help. Paying the minimum amount for your student loans may cushion expenses in the moment, but it ends up costing you more in the long run. Research repayment options suitable for your financial situation to prevent high-interest payments that end up driving up the total cost. Forbes' Maggie McGrath, who covers personal finance for millennials, recommends a repayment schedule that includes 120 payments over a period of 10 years. Once you have a job, try to add extra money on top of the minimum payment required. You'll reduce your principal and lower the total payback amount. If you receive an inheritance or any other large sum of money, consider putting it down on your principal or just paying off the loan entirely. Your money will serve you better paying down the debt and reducing your total interest than sitting in a savings account earning a paltry .06 percent. Similarly, if you receive a structured settlement or other type of annuity, consider selling it and using the money to pay down or off your loan. Also, if you choose to pay with an income-based plan, your annual amount owed is calculated from 15 percent of your yearly income. After year 25, remaining debt will be exonerated. USA Today explains the other situations that qualify you for student loan forgiveness. Make sure during auto-pay that you provide the government with annual income information so you can remain enrolled, advises Rick Ross, co-founder of College Financing Group. Services will put borrowers who haven't supplied updated income data on a standard repayment plan, which can significantly drive up monthly payments. You can manage several monthly payments by consolidating your loans into one payment. Interest rates for each loan will be reduced by 0.25 percent. There are stipulations, however; learn more at the Department of Education's page about the Special Direct Consolidation program. Avoid deferment and forbearance with income-based repayments. Deferment or forbearance temporarily postpones or reduces federal student loan payments to prevent default. Although forbearance suspends payments, it accrues high interest. GL Advisor warns that a graduate with $165,000 in debt will accrue an estimated $1,000 per month in interest during a forbearance period. 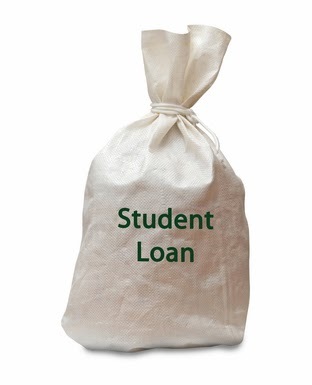 October 3, 2012 By Natasha T.
While students who come from high and middle income families are fairly comfortable and familiar with student loans and the opportunities enmeshed within loan culture in general, lower income families tend to be more hesitant. Financial aid advisers have found many lower income families are so put off by the high tuition at some schools that they don’t even want their kids to apply. With the pervasive nature of student debt and the problems it causes for so many, there is certainly more than a little wisdom in this view point. However, in this society, lacking a college education severely limits opportunity. With rising tuition costs throughout the higher education system, this could also lead to more and more schools taking on an off-limit status for lower income students. Fortunately, there are considerable efforts underway to stem the tide. A lot of schools have begun to offer financial aid packages to lower income students that don’t even include loans. Which is great because a lot of lower income households hear “loan” and immediately head for the door. Generally speaking, schools define low income as families who bring in less than $40,000 a year, who meet the requirements for Pell Grant eligibility, or are below 200% of the poverty line. Schools that have cut loans from these financial aid packages are often referred to as ‘free-tuition’ schools. In lieu of student loans, some of these schools have substituted grant opportunities and options like work study assignments. Another huge way to avert problematic debt isn’t to avoid getting loans in the first place, but instead make sure to take advantage to the government’s more generous loan repayment programs. Options like Income-Based Repayment are perfect for low-income students; it’s important when procuring loans to be sure they are federal direct loans, which are eligible for Income-Based Repayment. This repayment plan allows for incredibly low monthly payments that are derived from the individual’s income and then offers loan forgiveness after 25 years. With so many ways to keep student loans at a manageable level or even avert them entirely, there’s nothing keeping smart, capable students out of great schools. Significantly, some of first schools to offer alternatives to high student loans, options like no loans, loan caps, no parental contributions and Pell grant matches, are members of the Ivy League. Princeton and Yale, for instance, have both seen significant increases of enrolled lower income students as a direct result of these efforts. Organizing student finances is a complicated and stressful business, but there are groups that can help students optimize their debt and stop student loans from feeling unmanageable. The human capacity for creativity is enormous. Looking at the world around us, we see the work of great minds everywhere. When this great gift of our creative capacity is combined with the technology available to us today and excellent training, anything is possible. Around us we find awe inspiring feats of engineering and architecture, moving work created by the entertainment industry, brilliant discoveries in the scientific world. With a college education there is no feat of human invention that can’t be achieved when we enable young people to grow and realize their dreams. After the recent financial upheaval, the cost of education has been rising so high that it’s almost impossible for families to manage the excessive costs. In such situations, more and more individuals are taking out student loans to pay for tuition fees, but when the time comes to pay the loans back, they default on the debt. Defaulting on student loans is not at all desirable since it affects the credit score as well as credit history. There are many ways to eradicate the defaulted student loan debt. One option is debt consolidation. So seek debt consolidation help from a company and pay off the defaulted student loan debt fast. Aside from this, there are some other repayment alternatives available to help you pay off your existing defaulted debt. So let us take a look at how you can take advantage of those repayment options. to decide on student loan repayment options. situation. You may also have a combination of circumstances, so once you contact an advisor ask them about the best options available for getting out of default. However, when you discuss repayment options, make sure they have comprehensive knowledge and can assist you with a repayment plan that suits your individual needs. Suppose you have low income and high student loans, ask for the Income Based Repayment (IBR) program. Like the IBR, there are many other programs especially designed for your unique financial situation. • In many cases, people have more than one defaulted student loans because the loans get sold and transferred to different credit collection agencies. So find out the number of defaulted student loans you have as well as the kind of loans. For example, you may have a defaulted student loan worth of $10,000 which actually is a total sum of one to five different student loans. Along with the sum and the type of defaulted student loans owed, you also need to determine the status of all your student loans and the holder of the loans. Do not assume that since one collection agency is contacting you, you have only one defaulted loan. Visit the website of National Student Loan Data System (NSLDS) and find out all the student loans owed. pay the loan back, your repayment process will be long and hard. Conduct research on the above mentioned options and other available alternatives to find the right student loan repayment plan for you. Ms. K.D. Salters is Vice President, leading Change Management for a global asset management compay in the Washington, DC area. Ms. Salters graduated from The Madeira School located in McLean, Virginia. After high school, she obtained a Bachelor’s degree in Psychology from New York University and pursued a Master’s degree in Human Resources Development, with a concentration in Organizational Development from George Washington University. As a former student loan borrower, Ms. Salters is committed to helping others successfully manage debt.